What has been going on in Sudan? The protest started in December 2018 against soaring prices of bread in Sudan. 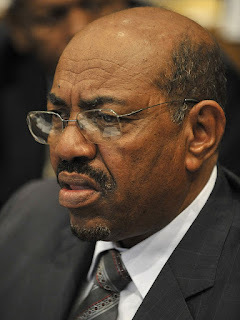 There were earlier protests in Sudan under the rule of a dictator – Omar -al- Bashir. However, during 2019, the protest turned so dominant that protesters demanded him to step down. More encouragement protesters have obtained from an international event where another dictator – Abdelaziz Bouteflika stepped down after ruling Algeria for 20 years on April 3rd 2019. There was a march to the gates of Mr. Bashir’s home in the e headquarters of the Army. 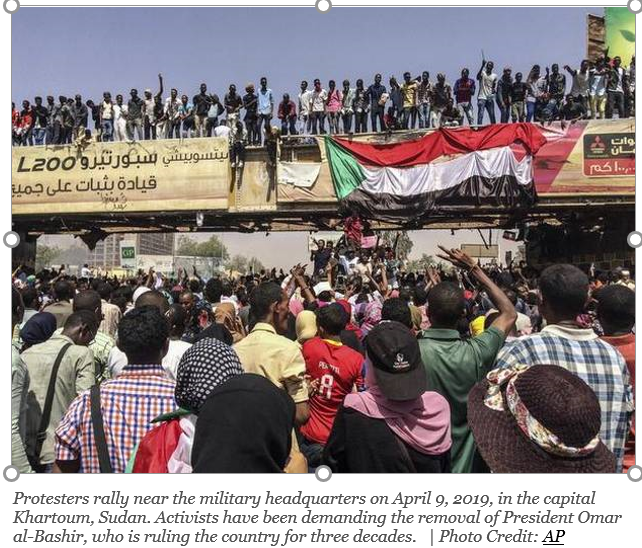 The nationwide protest was so forceful that the Army has to remove the President Omar-al-Bashir. There have to be fresh elections, and till then the head of Military Council – Awad Ibn Ouf will rule the country. Mr. Bashir ruled the country for three decades and resigning was not easy for either side. He initially was brutal against the protestors but that added fuel to the fire. The Public became angrier until the Sudanese Army intervened and forced Mr. Bashir to step down from the post of President. Omar – al Bashir was the president of Sudan till the Sudanese Army removed him in 2019. He has an image of a dictator, and an anti – government protest spread across the country demanding his resignation. How Did Bashir gain the Power in Sudan? Mr. Bashir was a colonel in the Sudanese Army. He captured power in 1989 through a bloodless coup, has largely been seen as a survivor. Why did Mr. Bashir become controversial? 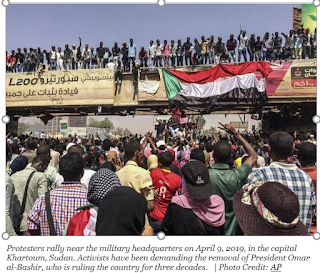 Immediately after assuming power in Sudan, he suspended political parties, restricted independent media, and carried out a purge against his political rivals. Not only that he introduced an Islamic legal code and eventually designated himself as the absolute ruler of the country with vast powers. However, there were five main causes to connect him in to controversies. He even aligned himself with Hassan al-Turabi. Hassan- al- Turabi was a controversial Islamist politician. Mr. Bashir even launched a top-down Islamisation campaign in the northern parts of the country. This period also saw jihadists from around the world travelling to Sudan, mainly attracted by the ideas of Mr. Turabi. Osama bin Laden who set up a camp in Khartoum, was among those who made investments in Sudan. The U.S. listed Sudan as a state sponsor of terrorism in 1993 and later imposed sanctions on the country. In 1998, after the terror attacks on American embassies in East Africa, a pharmaceutical factory in Khartoum was destroyed by a U.S. missile strike because of its alleged links to al-Qaeda (an account that has been disputed by many analysts). 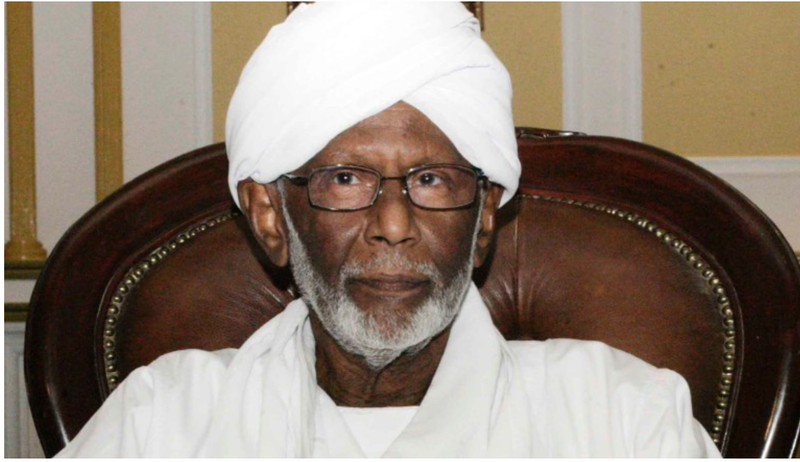 When Mr. Turabi started challenging him, Mr. Bashir expelled him from the ruling National Congress party and later arrested him. Later, it became clear that he could not end the two decades-long insurgencies in southern Sudan by force and amid mounting international pressure, Mr. Bashir entered a peace agreement with the Sudan People's Liberation Army, providing the South autonomy for six years which was to be followed by a referendum. The southerners would eventually break with Sudan and form their own country. Darfur remained an impoverished region in western Sudan. People protested demanding rights in 2003 and Mr. Bashir unleashed militias against them. It ended up in the death of hundreds to thousands of people. This matter -The Darfur conflict led to his conviction at the International Criminal Court for genocide. After South Sudan separated and took three-fourths of the country’s oil fields in July 2011, Sudan fell into an economic downturn. The move helped Southern Sudan, and it is now one of the fastest growing economies. The fall in the energy prices from 2014 also hit Sudan hard. Inflation soared to 73% by late 2018 in a country where more than 40% of the population is living in poverty. The rapid rise in inflation has brought down the living standards of the middle class, who were at the forefront of the anti-Bashir protests. The country also plunged into fuel and cash shortage, prompting long queues in front of banks and fuel stations. How did Bashir survive so long in Sudan? There were many internal challenges and hostile feelings against Mr. Bashir, but military stood by him. He has an image of economic moderniser due to the discovery of oil in Sudan. In recent years he turned towards west and presented himself against terrorists in Africa. This move removed the international sanctions removed. But still, he couldn’t quell the mounting public anger amid steady an economy that was rocked by the country’s split. Tags # Bashir # COntroversies of Bashir # Global and international relations # people # SUdan # why was bashir remove as president. why was bashir remove as president. Labels: Bashir, COntroversies of Bashir, Global and international relations, people, SUdan, why was bashir remove as president.